I spent close to 40 years managing staff. It wasn’t my strongest suit. I was good at what needed to be done, but not so good at getting my staff to do it—probably because I wanted, always, for it to be done my way. And too often, my newt-like attention span and, yes, my anger issues got in the way of directing my staff well. It wasn’t until my second year of consulting that I had several epiphanies. The first was about those anger issues. A heated argument caused me to lose my then biggest client. And made me think about the way I handled certain things. The second was watching other clients manage, or try to—and seeing with clarity I wish I had had decades before, what the real keys to good management are. It’s not, as we too often think, about being charismatic. Or decisive, forceful, the embodiment of reason—though all these things can’t hurt. Good managers are clear about what they want and need and what their expectations are. More than that, they are consistent. Good fundraising is a lot like good management. It too takes clarity and consistency. Both management and fundraising are looking to bring value to the organization; the one by supporting staff to do great jobs. The other, by providing donors with opportunities to make great gifts. Not being clear—in management or fundraising—is amazingly stress inducing. If I don’t know where I am supposed to be going, I don’t feel free. I feel lost. But if the direction I am supposed to be heading changes frequently and in ways that feel random, then I go beyond lost and head directly into frustration. Take the time to be a good manager—and/or a good fundraiser. Know what you want and need. 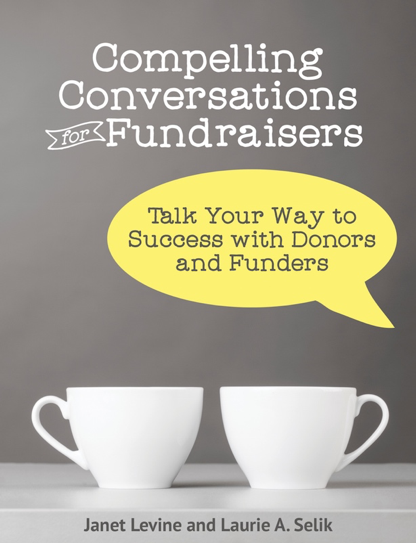 Work with your staff or your donor on how best to get there. And don’t change course in mid-stream. Janet Levine works with nonprofits, helping them to increase fundraising results. Learn more at www.janetlevineconsulting.com. While there, sign up for the free newsletter. This entry was posted in fundraising, management and tagged anger issues, clarity, consistency, fundraising, managing. Bookmark the permalink.